So like many on here I have recently found a love for the Auburn speedster. However, like most, the issue of both cost and availability of the original would make owning one pretty darned tough. I did look through some past entries in this forum touching on the same thing but the answers leave a lot to be desired. It seems to me that one post with some very helpful responses may be something that could help a lot of newer members out and have it documented a little bit with notes and even pictures of some correct or more importantly incorrect replication items. This website, www.auburnspeedsters.com/specifications.htm , has some original information on the 35/36 Speedster, but it may be missing some important things for those of us just getting in to this. One of my biggest fears is buying a replica which is not true to the original in configuration and dimensions. For example, I'll attach a couple pictures that show my concern on one replica I have that I do not believe the grill/front end dimensions are correct. While the car in general does look correct that gives it an off look to me but is it really off? Without the correct information it is hard to know what is or is not correct. www.auburnspeedsters.com/auburn_speedster_manufacturers.htm has a list of manufacturers (current and past) and I'm sure each has possibly some benefits and maybe faults. When looking at these makes, other than an original or Glenn Pray version, what other of the manufacturers stand out and for what reasons good or bad? One reason I ask this is, like the originals, the Glenn Pray versions are more expensive and also just harder to find available. In the end this may still be the way to go, but I think there is a lot of options, each with good and bad. One person may want something to collect to resell where as another may want the most durable every weekend cruiser. On the pictures, the one looks possibly shorter and wider than the other. I actually do not know which would be more true to form, though normally my impression is the grill is the thinner one. Other things I see many times different on the cars is where the gas cap is and how many exhaust pipes are present and on each side as well as where they enter the fender or body. I know that in most new replicas they are not functional but that does not mean it shouldn't be done correctly. Last edit: 05 Sep 2018 19:45 by mjnoe. When someone buys one be sure it has cowl vents. Otherwise you are in for a very HOT ride. Thanks Curt, but this is exactly the type of answer I want but with some teeth behind it. How would I know as a new person to this type of purchase which are better or poor quality? Please put some details in here that others and myself can use to make sure we are headed the right direction. Likely some kits are better than others. Some may be preferred. Each person will have to take the risk to reward in to account but also the availability. I can and will email you but I am hopeful we can get some of these types of things in a thread to help more than just me as we all seem to be on the same quest. Thanks Mike, I have tried to figure out what these are on an Auburn Speedster but I just get many pictures of some nice looking Auburns. Can you help me to know what the Cowl Vent is and where it is on an Auburn to look for it? 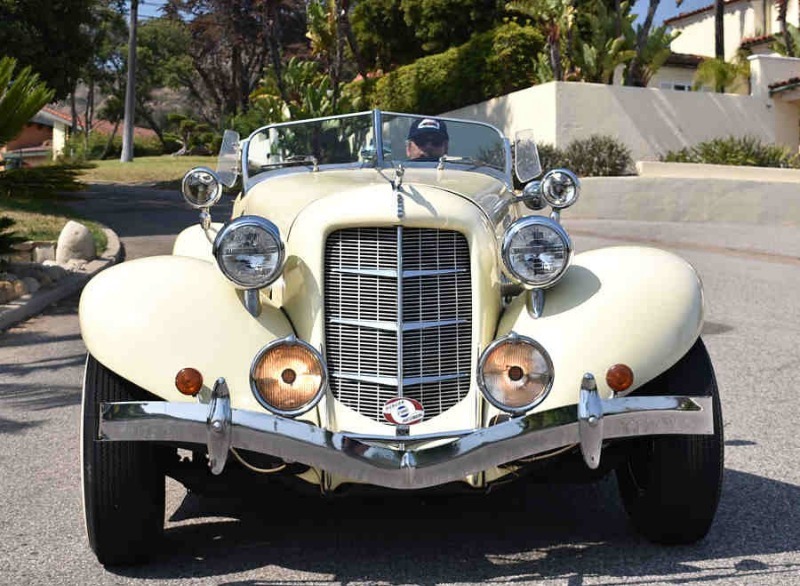 There are two vents on a Auburn Speedster between the windshield and the hood on the cowl.